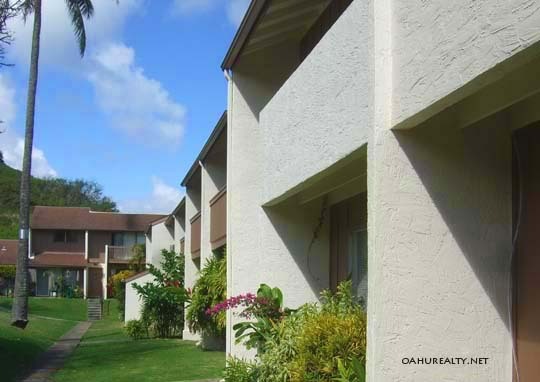 Constructed in 1971, Aikahi Gardens is a fee simple townhome development. These units come in two bedroom, one and a half bath, three bedroom two bath and three bedroom two and a half bath floorplans. Interior area ranges from approximately 1,048 square feet plus 120 foot lanais for the two bedroom units, up to 1,667 square feet interior plus 240 foot lanais for the larger three bedrooms units. 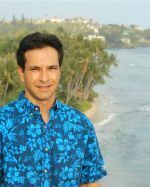 Amenities at Aikahi Gardens include a swimming pool, club house, recreation area, jogging paths and a resident manager. Aikahi Gardens are located in Aikahi Park, which is on the edge of Kailua, near Kaneohe. The location provides easy access to the Kaneohe Marine Base and the H-3 freeway, leading into Honolulu. Aikahi Gardens is a pet friendly property. It's also VA and FHA approved.